Aquatic habitats are the building blocks of the Gulf of Maine ecosystem. They provide homes for the animals, plants, and microbes that inhabit the coastal and offshore waters. Intact marine habitats in the Gulf of Maine support productive fisheries and serve a host of other functions such as cycling nutrients, filtering pollution, trapping sediments, storing carbon, buffering upland areas from storm damage, and providing recreation opportunities. Habitats of the Gulf of Maine do not exist in isolation, a myriad of ecological relationships and oceanographic processes link them and each habitat functions as part of the larger Gulf of Maine landscape. The movement of water plays a major role in the interconnection of habitats by transporting nutrients, food, larvae, sediments, and pollutants among them. Some of the Gulf of Maine’s habitats are relatively well known and scientific understanding of them has expanded in recent years. Other habitats such as cold-water corals have only recently been explored. 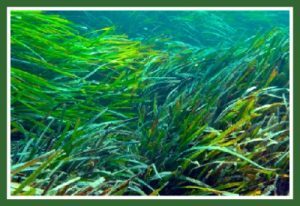 Aquatic habitats in the Gulf of Maine include: freshwater habitats of rivers, streams and lakes; coastal habitats such as estuaries, beaches, rocky shores, kelp beds and salt marshes; and marine offshore habitats from deep waters to shallower banks and ledges. The Gulf of Maine Marine Habitat Primer provides an overview of the coastal and marine habitats in the Gulf of Maine. Habitat Restoration: Developing a Gulf-wide coastal and marine habitat restoration plan; assisting in implementation of the Council/NMFS restoration partnership grant program; and pursing land protection initiatives. In addition to the Actions and Responses described in each theme paper, many different organizations have developed guidelines, codes of conduct, best management practices, or other types of advice aimed at addressing the issues described in the theme papers. Some of the guidelines related to Aquatic Habitats can be found here. These links are maintained by outside agencies and are provided for information purposes. The linked documents are not endorsed by the Gulf of Maine Council on the Marine Environment.